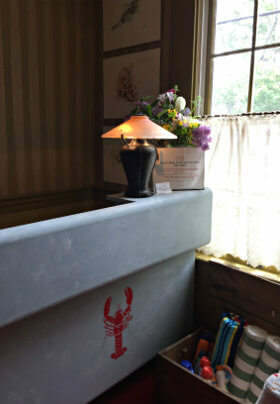 Tim is probably one of the most eclectic innkeepers in Provincetown. Born in California, growing up in Western Pennsylvania and spending most of his adult life in Washington DC, he is a world traveler having visited 48 of the 50 US states (missing Montana and North Dakota) and 25 countries. Tim has worked professionally in occupations ranging from higher education, the corporate world, the federal government, international public health, association management, law enforcement and construction. His interests include having been an amateur rodeo competitor, remodeling historic homes, reading and the occasional microbrew. After vacationing in Provincetown for 20 years, he and his fraternity brother, Chuck, purchased Snug Cottage in 2015. Tim likes nothing more than helping guests explore one of his favorite places in the world – Provincetown.